If you lived in Phoenix, and you had a phone call informing you your 7 year old child had just been abducted from a school playground, you might have been first in line demanding Governor Jan Brewer sign SB 1070 into law. 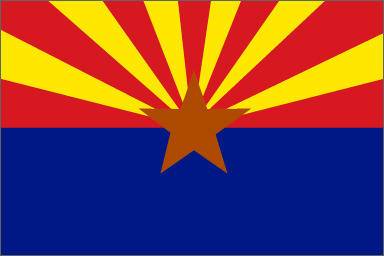 Phoenix, Arizona has earned the title “Kidnap Capital of America.” Is it any wonder their Governor signed this new law? Americans, especially those in Phoenix, Arizona deserve sensible immigration reform, and they need to demand it! Without a doubt, the new law will result in deportation of some immigrants that under sensible immigration reform would have been allowed to stay. More families will be split. More households will be left with reduced or no income. Immigrants with expired visas or no visa will continue hiding in the shadows. The labor supply for cash operators will continue to grow! Sensible immigration reform must be addressed. It is my hope and prayer that Republican leaders across our nation will step forward and engage in sensible immigration solutions. Lieutenant Governor David Dewhurst of Texas recently expressed his concern with the lack of federal action. Governor Dewhurst made some rather bold suggestions. He suggested Texas should issue illegal immigrants driver’s licenses and positively ID them. What a novel thought . . . ID’em and Tax’em! America needs more politicians like Governor David Dewhurst. Politicians that are willing to lead, not simply check the direction of the wind!